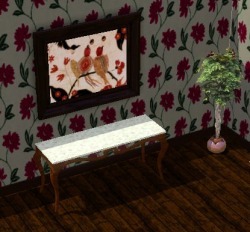 A large selection of affordable wall art for your Sims with no picture costing over $500. Brighten up your home for less. Use the menu above to select a theme. A beautiful Indian style print in a large wooden frame - only 500 simoleons. 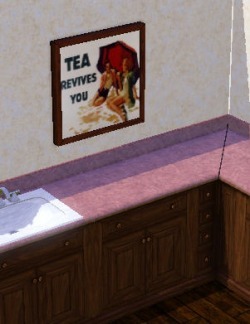 How can your sim resist? Maybe it's because I'm English but it's definitely true. Tea is definitely amazing. I had a discussion with my Other Half this week about 'if stranded on a desert island for a year what would be the first thing you'd want to eat/drink when you got home -mine was definitely a nice mug of TEA!